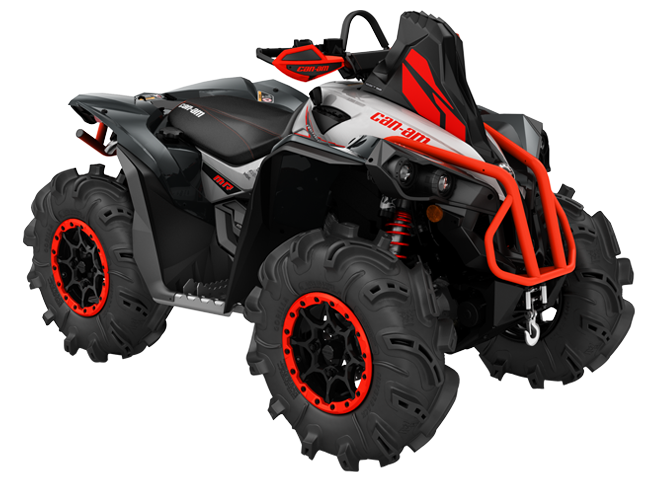 The Renegade X mr is the most powerful mud ready ATV on the market. 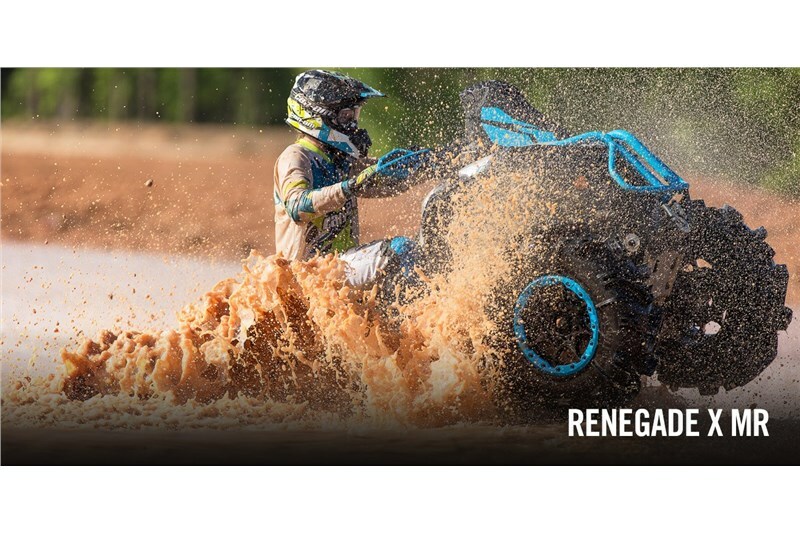 Specifically designed to take on the toughest mud holes, the Renegade X mr comes straight from the showroom with numerous factory installed accessories. These high-performance front and rear FOX† PERFORMANCE SERIES 1.5 PODIUM† RC2 shocks give riders the flexibility to fit all terrain and all riding styles, with easy dual-speed compression, rebound and preload adjustments. Designed by Gorilla Axle for mud riding and racing, these tires were developed to go in the deepest mud holes. Installed on large 14-in cast-aluminum beadlock wheels, featuring a mechanical fastening system that makes it nearly impossible for the tire bead to break loose from the wheel during mud riding, heavy acceleration or cornering. This powerful winch with a 3,000-lb (1,361 kg) capacity is factory-installed and can handle the toughest situations. Continuously Variable Transmission means the drive shaft is always in the right gear. For ease of use, you can count on the engine braking feature to help slow you down when going downhill. 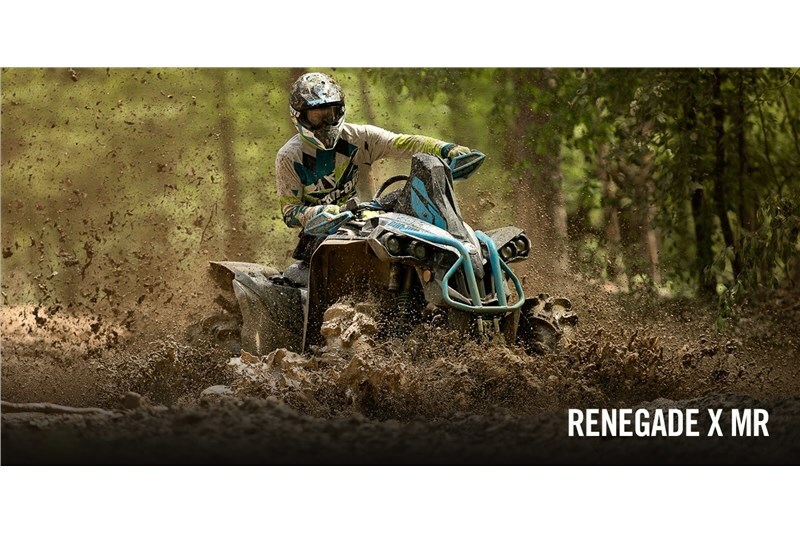 The CVT of the Renegade X mr 1000R also features an improved L-gear with more torque to the wheels and a softer engagement to avoid getting stuck in mud. 83 x 50 x 56 in.